The Comparative Internal Medicine Laboratory investigates diseases relevant to people and animals and develops tools for the practical diagnosis, treatment and prevention of disease. The Comparative Neurology Program explores inherited developmental and degenerative diseases of the nervous system and is involved with translational research for treatment of neurodegenerative diseases. The Comparative Oncology Radiobiology and Epigenetics Laboratory strives to advance evidence-based cancer medicine among all species with an emphasis in our research on comparative medicine. The Feline Genetics Laboratory focuses on the genetics of the domestic cat and the development of genetic tools and resources that assist gene mapping in the cat and other companion animals. The Laboratory for Infectious Disease Research (LIDR) is a Regional Biocontainment Laboratory located on the MU campus. The MU Metagenomics Center (MUMC) provides the full range of services needed to characterize complex microbial communities, including DNA extraction; 16S rRNA amplicon, ITS-based, or whole genome shotgun sequencing; informatics analysis, and data and sample storage. The Mutant Mouse Resource & Research Center is part of a national consortium. The overall goal of the MMRRC is to provide a center for accepting and distributing high quality, well characterized mutant mice. The primary function of the Rat Resource & Research Center (NIH) is to supply biomedical investigators with the rat models, embryonic stem cells, related reagents, protocols and specialized services they require for their research. The National Swine Resource and Research Center (NSRRC) was established in 2003 to develop the infrastructure to ensure that biomedical investigators across a variety of disciplines have access to critically needed swine models of human health and disease. Nuclear Medicine and Positron Emission Tomography (PET) are unique offerings of our radiology department. We are one of a limited number of facilities with the ability to perform nuclear medicine and PET studies for animals. The Research Center for Human Animal Interaction (ReCHAI) operates as a dynamic collaboration between the University of Missouri Sinclair School of Nursing and College of Veterinary Medicine with a mission of education and conducting programs and studies about the benefits of human-animal interaction. The Veterinary Medical Diagnostic Laboratory provides in-depth laboratory diagnostic support to veterinary practitioners, livestock and poultry industry interests, companion animal interests, wildlife conservationists, scientists utilizing animals in their research throughout the university, state and regulatory officials, and clinicians of the MU Veterinary Medical Teaching Hospital. Animal Modeling Core (AMC) provides a variety of essential services associated with the generation and characterization of animal models. Comparative Medicine Training Program offers flexible training experiences, state-of the -art facilities and a tradition of excellence in the field of comparative medicine. Veterinary Research Scholars Program exposes veterinary students to research career opportunities through a mentored research experience and helps develop a much-needed community of veterinary research scientists. Molecular Pathogenesis and Therapeutics Graduate Program is a combined program taught by faculty from the Department of Molecular Microbiology and Immunology and the Department of Veterinary Pathobiology. 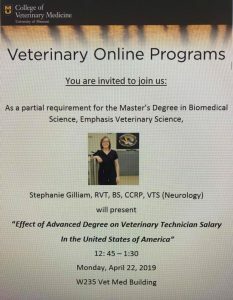 Recommended Pre-Veterinary Electives At least 60 credit hours of undergraduate courses are required to apply to enter the University of Missouri College of Veterinary Medicine. Fifty of the minimum required credit hours are specified (e.g. college algebra, physics, biochemistry, etc.) The remaining minimum of 10 credit hours must be in elective courses. Zalk Veterinary Medical Library provides a broad range of information resources and services essential to research, clinical practice, and the training of veterinarians. Grant Fact Sheet provides institutional information for the University of Missouri, including DUNS, federally-negotiated fringe benefit and indirect cost rates, tuition costs and more. 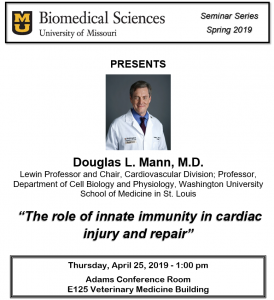 MU-iCATS serves as the focal point for MU programs that transform research findings into solutions for human health issues. Washington University ICTS is designed to increase the efficiency and speed of clinical and translational research on the local, regional and national levels. The University of Missouri is a partner institution. The Clinical and Translational Science Award One Health Alliance (COHA) is comprised of veterinary schools partnered with medical and other colleagues through a National Institutes of Health Clinical Translational Science Award (CTSA). The American Association of Universities (AAU) uses citation information as a Phase I indicator of membership.